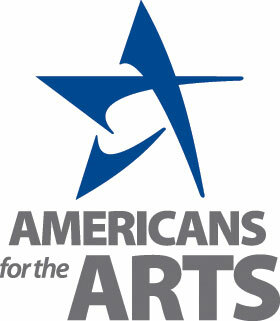 Arkansans for the Arts is on a mission to add members and arts organizations in every district in Arkansas. Our goal is to build a strong constituency of arts advocates who are well educated on Arkansas and national arts' initiatives and issues. We are fortunate to have a strong foundation of support from state, regional and national partners such as the Arkansas Arts Council (AAC), Mid America Arts Alliance (MAAA), National Assembly of State Arts Agencies (NASAA), and Americans for the Arts. We support the National Endowment for the Arts that broadens access to the cultural, educational, and economic benefits of the arts to advance creativity and innovation in Arkansas and across the United States. 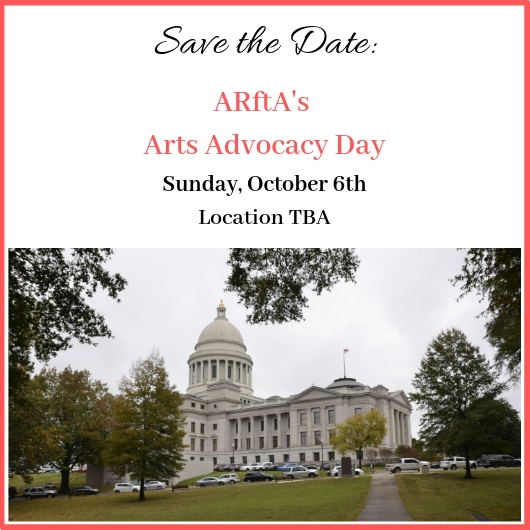 We are a resource to the Arkansas Legislative Arts Caucus and support legislation that invests in Arkansas's artistic workforce and creative economy. My participation in the 2019 National Arts Action Summit has been a highlight of this year. The opportunity to engage with peers in every state and be a part of the narrative was enlightening and ignited my passion for arts advocacy. The interview with UCA Student for the Arts president Grayson Ruple is a shining example of how Arkansans for the Arts will be a force in Arts Advocacy for years to come. Your membership and participation in Arkansans for the Arts is very important and we urge you to assist us in adding others as members. We are planning to come to every district with our message and developing initiatives. Thank you for your membership and active participation. 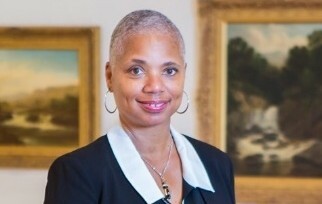 Students for the Arts is an arts advocacy organization of the campus of the University of Central Arkansas that is linked to Arkansans for the Arts and led by Dr. Gayle Seymour. Students for the Arts will provide students with the ability to advance the arts, arts education, and the creative economy in Arkansas. Grayson Ruple is currently the president of the chapter and is a student on UCA's campus. My name is Grayson Ruple. I am currently a senior candidate for a BFA degree at the University of Central Arkansas (UCA). I am also the president of the UCA's Chapter of Arkansas Students for the Arts which is a student lead subsidiary of Arkansans for the Arts. We are focused on building future arts advocates at the collegiate level. In order to receive further training, knowledge, and experience, I recently had the opportunity to attend the National Arts Action Summit thanks to Arkansans for the Arts. This was an incredible educational opportunity in which I was exposed to several issues and policies that I was previously unaware of. On the first day of the event, I was able to attend a thorough training for novice advocates which informed me about the spectrum from education to advocating to lobbying what each of those acts entail. I was also able to watch a demonstration on how to interact with legislators when discussing various arts issues. The day concluded with the 32nd Annual Nancy Hanks Lecture on Arts and Public Policy at the John F. Kennedy Center for the Performing Arts. After Listening to guest speakers Supreme Court Justice Sonia Sotomayor and Rita Moreno, I felt not only inspired but empowered to continue to share the power of the arts. Overall, the Action Summit was an enlightening experience in which people representing various states gathered together to support the advancement of the arts as one voice. 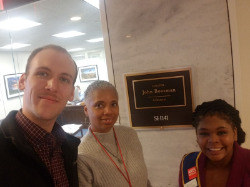 After having the opportunity to lobby for art policies, I now have a better understanding of the power of educating, advocating, and lobbying on the state and federal level. I am extremely grateful to have had this opportunity, and I can not wait to share my experience with my peers. 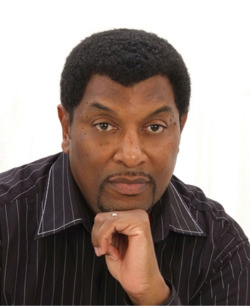 Jimmy Cunningham is one of Arkansans for the Arts (ARftA) newest advisors, the Executive Director of the Delta Rhythm and Bayous Alliance, consulting and interpretative coordination with the City of Pine Bluff, and an author of Delta Music and Film: Jefferson County and the Lowlands and African Americans of Pine Bluff and Jefferson County. V: What got you started on this particular path? J: Well, I'm the Executive Director of the Delta Rhythm and Bayous Alliance. That's my primary job, but I also do consulting and interpretative coordination with the City of Pine Bluff. I've always had an interest in the History of the Delta, African American History, and the Blues. I'm a Blues man. I love all kinds of genres, but Blues is at the top of that list for me. About 10 years ago when we had moved from Dayton, Ohio to Nashville, I was doing consulting in the Nashville area and I began to see how heritage tourism was impacting Nashville. I noticed how putting a brand on the cultural assets of Nashville brought visitors from England, Russia, Japan, Ghana, Brazil, and all around the world. I was consulting with organizations that were hosting events that were connected to all of the folks. I watched how the city was working its marketing plans and developing its narrative, and how art really was at the forefront of the process. The concerts, museums, plays, poetry, and so many other things reinforced that. I think it kindled a fire in me because I knew much more of the history of the area and this voracious appetite developed in me for even more information. I thought let me dig deeper. The more I began to dig, the more jewels I began to pull out--historical jewels. I had come out of Pine Bluff, went to school in Pine Bluff School District, attended UAPB, and my family roots were there, but these jewels nobody had told me about. Nobody had taught about this stuff or its complexity. It just propelled me and I just dug deeper and deeper and I got to the point where I had so much information and said, “I have to do something with this.” I published a first book, then the second book, and I kept watching Nashville. I kept doing things in the Nashville area assisting organizations and city government agencies developing their model. And I thought, "My hometown is suffering, I can do some of this stuff in Pine Bluff and lend some ideas." So, I started to look at how regionally we could make connections that could benefit each city along a stretch of the Delta from Pine Bluff to Greenville, Mississippi on Highway 65. We started to work on that and got the state legislature to pass a deal that renamed Highway 65 to the Delta Rhythm and Bayous Highway and then we got the state of Mississippi to do the same. Since that time we’ve been working to create a travel corridor between Pine Bluff and Greenville and that’s kind of how we got going in this because we said there were interpretative venues that could be created and you could market those as a whole entity. The whole thing around Delta Rhythm and Bayous is the tremendous music heritage along Highway 65. Also, Bayou Bartholomew runs right next to Highway 65 and is the longest bayou in the world and second most biological stream in North America. We put those two things together and it became Rhythm and Bayous. It’s the art and the natural beauty kind of coming together and creating an opportunity for communities to develop, grow, and tell their stories. V: What project are you working with now with Rhythm & Bayous? J: We’re hoping to have a bill introduced in the legislature and that bill will be the Arkansas Delta Music Trail. 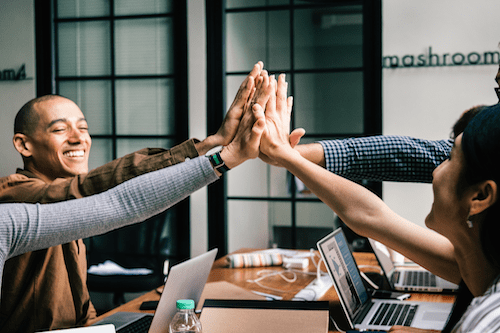 The purpose of the bill is to create a commission that will link with a program that helps to bring tourism into the delta and helps to engender more community and city pride in the communities. By first, subsidizing or providing tax credits for businesses that place murals and public art that relate to music stories of communities on seven highways in the delta in the state of Arkansas. There are seven music themed highways named by the legislature, but those highways only have signage. We’re trying to create on these highways tax credits to businesses that will invest in our equivalent of an outdoor gallery. We hope tourism will pick up because people will want to see these collections of outdoor galleries along these 7 highways. We will be able to draw in more interest and generate more movement in these communities around tourism dollars. Secondly, much like the state of Mississippi, which has the Mississippi Blues Trail which includes this system of signage where they do installations of signs that tell these stories about the history of Blues in the Delta. We need the same system in the state of Arkansas. That system has brought tourists in much larger numbers in the Mississippi Delta. Arkansas tried it briefly by coming up with about 10 signs and then they stopped. Mississippi has two hundred plus historical markers that tell this story not only in Mississippi, but also in Chicago and some other places where Mississippi residents moved to and contributed to the stories of music in other places. That’s one of the projects that we’re working on that’s statewide. In the city of Pine Bluff we’ve got the city to designate a section of Pine Bluff that has a rich music and theatre history as the Delta Rhythm and Bayous Cultural District. Right now, we’re working to do some things that will enhance that district and will draw tourists through the area. We are actually helping to plan tourism and develop the narrative and script that will provide some level of interpretation and understanding for people. V: What do you love the most about being involved in the arts world, including the arts economy? J: Although I never studied art and my background is in English and Public Administration, I have always, somehow been engaged in the arts. Whether I was doing local plays which I was involved in almost 25 years ago in Pine Bluff or helping to steer a robust culture festival I've always been in the realm. I’ve noticed that you can preach, lecture, or seminar people to death, but it is amazing to watch how some of the most complex ideas can be communicated to people through the arts and they get it. At the end of last November, we, the Delta Rhythm and Blues Alliance, hosted a tribute to Bobby Rush, Grammy Award winning Blues artist who was raised in parts of Pine Bluff. We also got the City Council to rename 3rd Street as Bobby Rush Way. The event was highly attended and people packed it. Bobby Rush got up there and shared his story about the Blues and what his experience was embracing that genre and what it was like being a black man in the 40s and 50s. You could see the connection that he had with the people. They were transfixed. I could tell others' expression, movement, and conversations following that they could see the magic of art and transformation occurring. I love the experience of watching other people grasp new realities just like I do. I can see when art is transforming people. V: Where do you see ARftA going in the near and/or not too distant future? J: Since I’m new to the board, I am still absorbing where Arkansans for the Arts stands. ARftA has been very supportive of the work we’ve been doing in terms of the Cultural Heritage Tourism. One of the things that I really hope is that ARftA becomes a big advocate for using culture and the arts to impact tourism in Arkansas communities, particularly in the Delta because the Delta has so much underinvestment, but it has so much richness. I’m hoping that the resources, intellectual capital, and even the financial capital can also go into the Delta to unlock the potential of the area. "Remember the Golden Rule: No numbers without a story, and no stories without a number. The arts are all about stories--often small, always meaningful. Share yours. It's engaging and draws your listener in--and then pair it with the research-based findings in '10 Reasons to Support the Arts.' Yours will be an advocacy visit that is not soon forgotten."